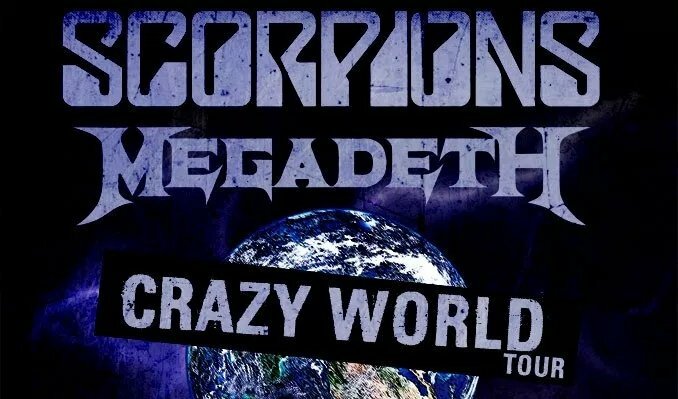 As if it’s not cool enough that Megadeth themselves will be on tour, but the fact that they are hitting the road with The Scorpions is just too exciting for us. The Scorpions have actually been around longer than Megadeth, yet both bands have tremendous followings. While we would consider Megadeth to fall into the Metal Music category, we see The Scorpions as a ‘heavy classic rock’ band. The two should fit fine together at their shows. Hopefully they will share the stage at some point and perform each others music, now that would be awesome. Definitely add this event to this summer’s ‘Must Do’ list, as The Scorpions alone on tour is big enough news. So far, Megadeth themselves will be performing first at a few rock music festivals, including Rock USA and The Chicago Open Air Festival. After that, they will be joining The Scorpions on their ‘Crazy World’ Tour. You’ll be able to catch the duo-show in states such as New York, Pennsylvania, Colorado, Washington, California, Nevada, Texas, Florida, Arizona and even a stop in Toronto Canada. Of course we, along with fans, are hoping for a lot more dates and venues to be announced. I guess we’ll just have to be patient. *JUST ANNOUNCED* – Megadeth continues their 2017 tour run with dates now set with Meshuggah, TesseracT, and LILLAKE. See dates below. 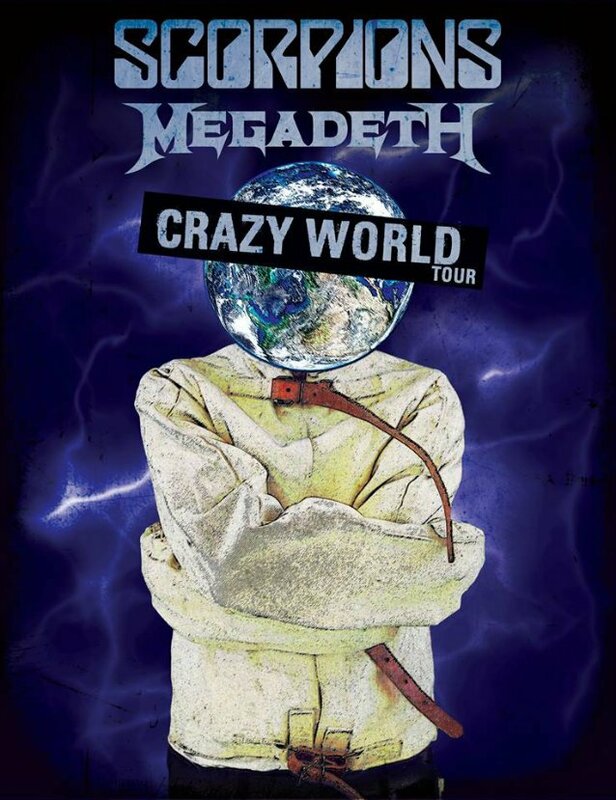 If you check below, you’ll find the music video for The Threat Is Real (the first single released from Dystopia), an Official list of Megadeth Tour Dates, links to look for tickets and other Megadeth goodies. This set of concerts with The Scorpions and Megadeth are surely going to be shows not to miss! 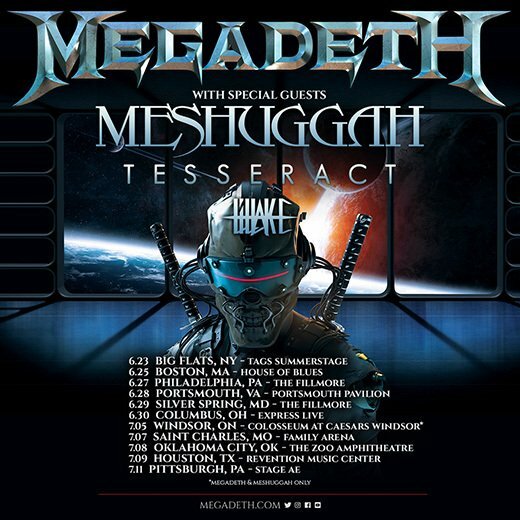 MEGADETH Summer Tour with Meshuggah, TesseracT, and LILLAKE!! Stay tuned for (hopefully) more dates and venues to be added to the Megadeth tour.